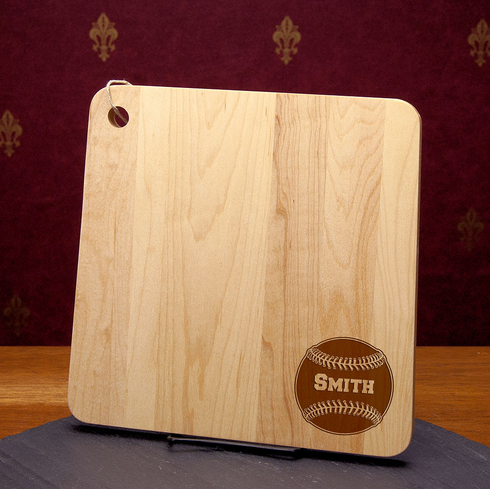 Square Maple Cutting Board with engraved baseball which includes your personalized text up to 12 characters. Great gift for your baseball coach or anyone who loves baseball! Choose block or script text. Measures appx. 9.5" x 9.5".